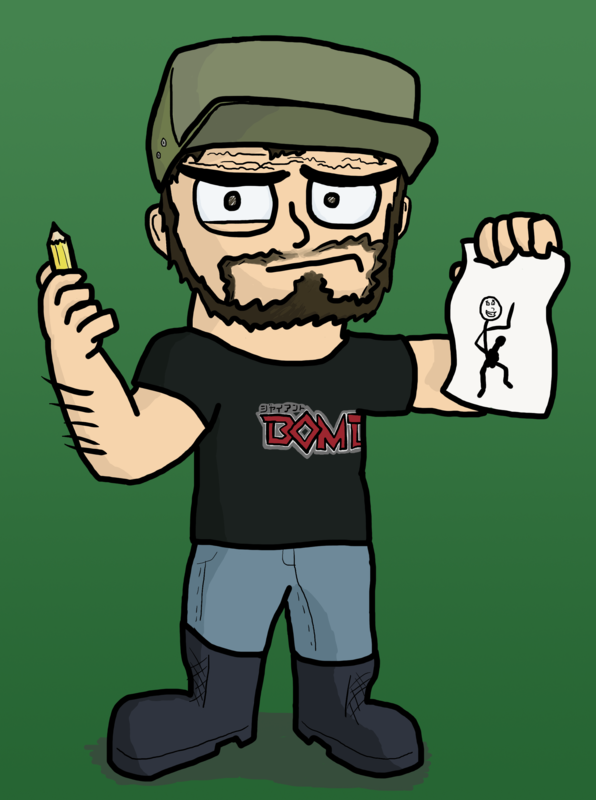 A cartoon self-portrait, drawn by your’s truly. Jammin’ Scans is run entirely by VigorousJammer, using translations sourced from MangaHelpers and other websites. For scanlation, he does all of the cleaning, redrawing and typesetting by himself. This blog is a showcase of some of his personal projects, as well as other things that he’s done. He sometimes scans in official English releases, but only when the volume is out of print. This is his own personal mantra. He also scans in raw manga sometimes and posts them here. If you’d like to offer any of your translations to me to be scanlated, or would like to collaborate on a project, or you’d like to contact me for some other reason, feel free to e-mail me at jamminscans@gmail.com, simply post a comment below, or join my Discord server! A) I’m not much of a translator (It takes me a while to translate anything), so I don’t really take scanlation requests unless there’s translations already available, or if someone else is willing to translate. C) I’m not completely averse to scanlating English licensed manga, but if there’s an official version, and it’s done to an acceptable standard, I don’t see any real point in re-releasing a fan-translated version of something that’s already completed. The only real time I will accept translating an English licensed manga is if the official release is so horrid that it does a disservice to the original version.